I must confess, I did not care for this album at first. I think I was just completely unprepared for what it is. This is not a bunch of radio singles you can put on as background music and enjoy. It wasn’t until I kicked back in my comfy chair with a good pair of cans on my ears and truly just listened to the music that I appreciated it. And now – I love it, so comb that mustache, kick back on a bean bag chair and get ready for some prog rock straight out of the 70’s, and with just over a one hour run time you better be comfortable. Horisont has been charging headlong into a personal retro rock revolution since its founding in 2008. With their newest album they have captured the sound and feel perfectly, even the album art harkens back to the 70’s. But that’s not all. 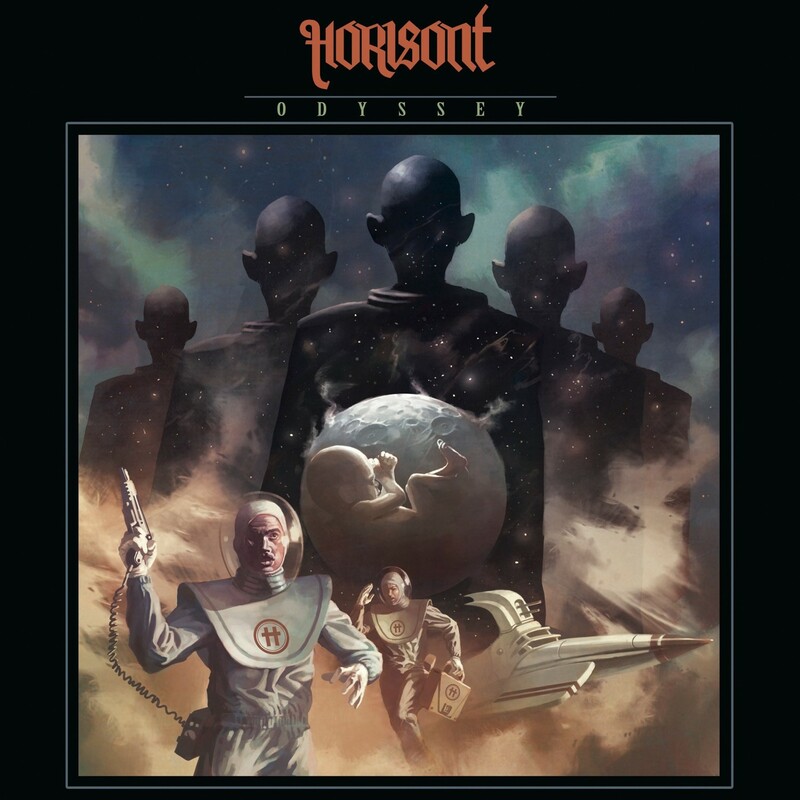 Odyssey is at its core a concept album, and damn near a rock opera; almost every song can be split up into three distinct acts, a story is definitely being told with this music. Odyssey opens up with the title track, a ten minute sojourn into its album cover, you can’t help but think of pulp science fiction stories or low budget science fiction movies of the past. It then moves into “Break the Limit,” a single released last year at a point when many thought this band done. “Blind” is great, “Bad News” will make you want to drive god damned fast. The album finishes with “Stader Brinner” and “Timmarna,” two complementing tracks sung in Swedish (I think); and titled Cities Burn and Hours. This is rock and roll, its highly enjoyable and made me dive deep into the bands (shallow but dense) back catalog. If you are looking for something loud and angry, or something to sing along too this likely will not fill that need. But if you simply want to kick back and groove to some retro rock and roll you will not be disappointed.